Is your septic system working to its full potential? Is there built up sludge and grime inside that is impacting its efficiency and putting you at risk for a backup? The only way you can know for sure is with a Lake Stevens Septic Inspection. 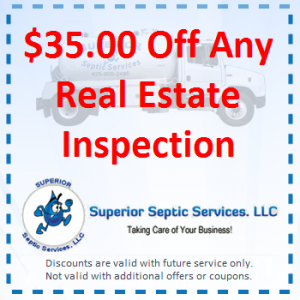 Septic inspections are one of the many septic services we offer at Superior Septic Services, LLC. In fact, when you call us for septic pumping, the first thing we will do is perform our own inspection to see what the buildup situation is in your septic tank. This ensures you are not paying for services you do not need. it also allows us to take a look at your system and make sure there are not pending problems that you should know about. Superior Septic Services is an Operation and Maintenance Inspection provider, so we can provide you with the county required O&M inspections as well. 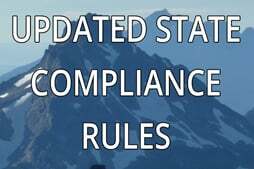 These more detailed inspections, which occur every year for most systems and every three years for gravity systems, must be performed by an Operation and Maintenance professional. We have several of these on our team, and this allows us to provide you with the best possible services. In addition, we will be glad to inspect a septic system on a property you are considering buying. This will prevent any unwanted surprises once you move in. After all, septic surprises are never happy surprises. By having our licensed technicians inspect it before you buy, you can make arrangements to have any problems fixed before you settle on the purchase price. We are also help to help sellers. The escrow company will likely not sign over the title to your home if there are septic issues, and they will require proof of an inspection. Performing this inspection before you have an offer on the home, so you can provide this proof, will help you expedite the sale of your Lake Stevens property. We can perform our septic inspections whenever it will best benefit you. So call today for a quote on Lake Stevens Septic Inspections, and let us help you keep your system running efficiently for a long time 425-905-2485.